The FBI Vault release is minute in size, to say the least — with a mere 27 images comprising the file — and does not include video, audio, nor anything other than photos. But, given the stony silence from the U.S. government toward families of victims of the attacks, even the meager disclosure is a welcome morsel of information with the potential to provide answers. Indeed, in the very first image, labeled plainly, “9-11 Pentagon Debris 1,” a single piece of wreckage sits isolated on a parcel of lawn — bearing the American Airlines logo and marked with letters and numbers. While this and pictures of evidence like it ostensibly did come from the lawn of the Pentagon in the wake of the plane smashing into the building’s side, it would be prudent to note the lack of context — such as the burned and gaping hole — to distinguish it singularly. 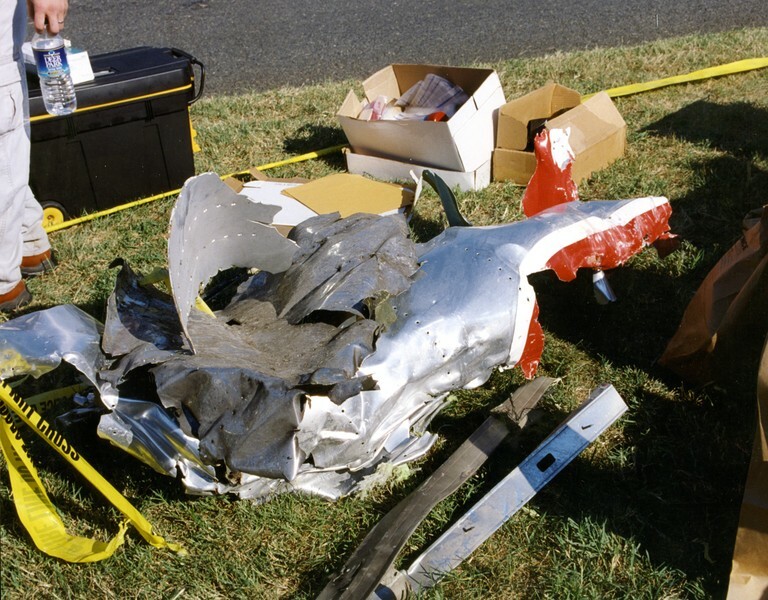 Mangled metal in the second image appears obviously to have come from a plane, but — like the entire release — no description accompanies to explain when, where, or how the wreckage was discovered by investigators. The third file again shows plane debris — this time, the horrendously twisted metal includes a painted red “C” with a white outline, as seen painted on the sides of American Airlines. 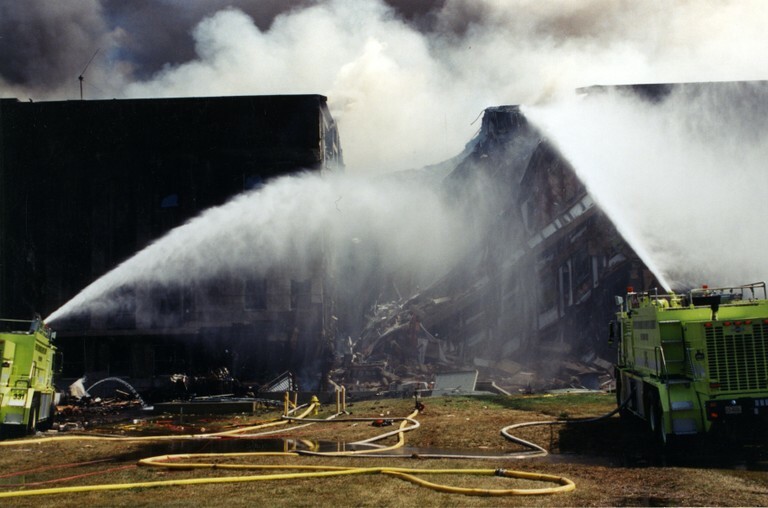 Several images of the emergency response to the crash follow, evincing a cavernous hole in the Pentagon building, as fire and rescue crews descend on the burning rubble. 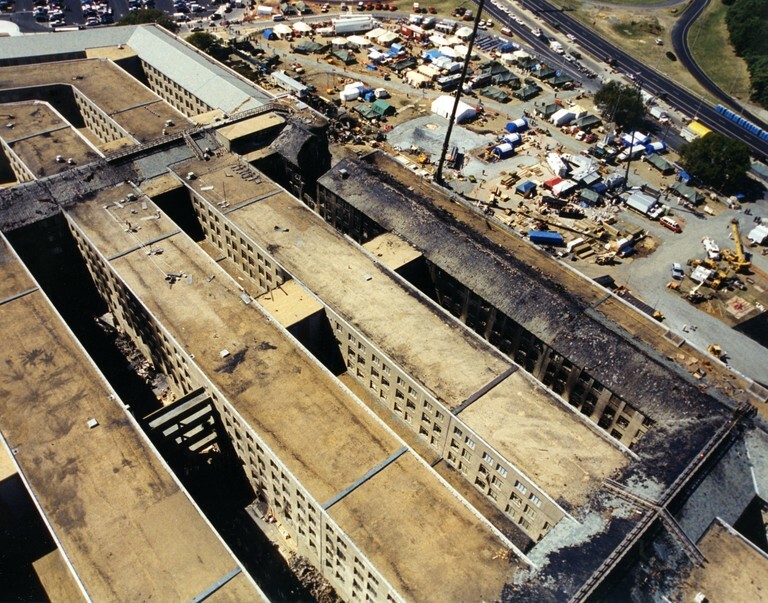 Although the aforementioned collectively would seem to put to rest that no airplane ever crashed into the Pentagon on 9/11, multiple images of exterior and interior damage evince a smaller hole than would be intuitive — but the sagging floors, twisted girders, and general destruction do show how much of the building suffered on impact. While all of these images appear to at least generally align with the official account of what happened with Flight 77 that day, three images cannot be explained — because they seem to defy logic. Assumedly taken from an aircraft hovering overhead and from an angle behind the blasted hole, three images show the rounded chasm cleaved into the building’s outer ring — but the burned stone from fires resulting from the explosion doesn’t extend into the inner area on the inside of the Pentagon’s second concentric segment. 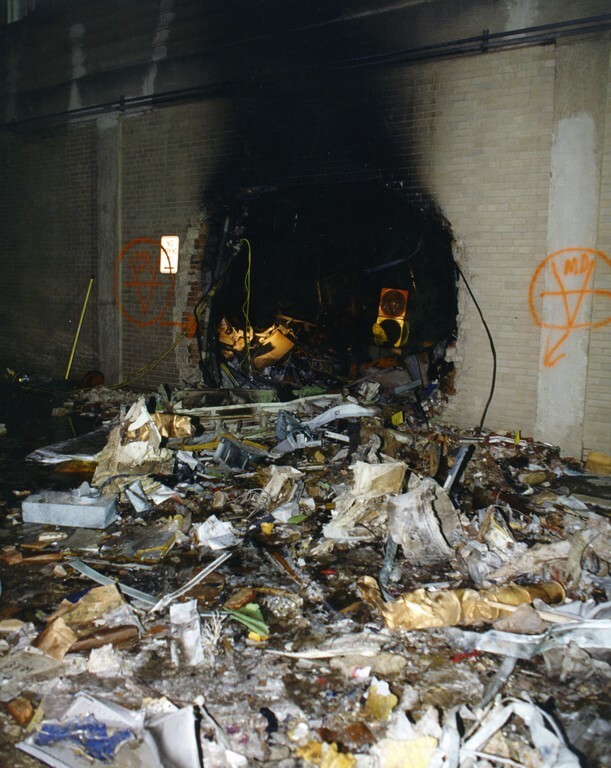 However, without any evidence that the crash affected the second ring, and observing what would have been the path the downed craft took through the building upon impact, a section of burned building stretching from the ground all the way to the roof oddly and implausibly appears — on the inside of the Pentagon’s third and middle ring. Indeed, it’s entirely unclear how this strange pattern of damage in conjunction with lack of it could have occurred at all. This isn’t meant to denounce the official story nor those proffered by Architects and Engineers for 9/11 Truth — nor anyone else who has thoroughly examined the evidence and has a plausible theory. 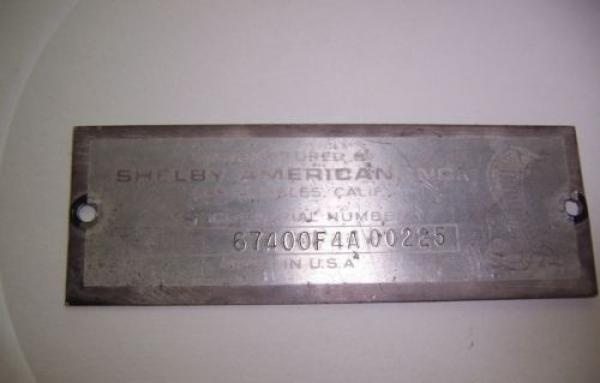 It should be noted that the FBI released a number of revealing images previously — nearly five years ago, in late 2012 — evincing wreckage of Flight 77 found inside the Pentagon. But these pictures, and the oddity of the release’s size and quiet announcement, should provoke thought and discussion of the events of that day — particularly considering the attacks of 9/11 ushered in the insidious War on Terror and Surveillance State. 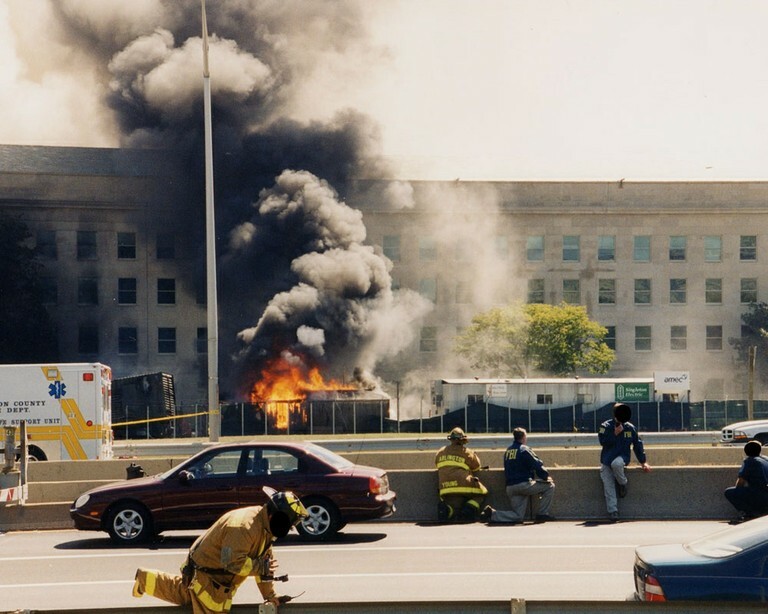 29 Comments on "The FBI Just Released Never Before Seen Photos Of 9/11 Pentagon Wreckage"
yeah….just great. Lets spend a thousand million hours analyzing this junk, and further speculating what the hell it might be. They are messing with ya…don’t you get it?? Its just another distraction along with the circus in Washington DC. This country is run by madmen who are losing control. They are so diabolical and evil, you should move along and ignore the circus. F’ the “new” pictures….they mean absolutely NOTHING besides “they” wanting to play with you some more. So dont waste your Fn time with this nonsense. They’re all crazy and they’ll drag you down with them. This FBI seeding of story looks like a spook operation to provoke outrage. We already know 9/11 was an inside job. Reporting on this, it should come from a respected 9/11 Truth organization such as 9/11 Scholars to provide analysis and context. Next to the last photo just looks like your average stage @ an AC/DC show?……Skater punks hangin around outside got their graffiti’d anarchy symbols a bit topsy-turvy tho?……..
Mighta been the Illuminutty’s stakin their turf with a hastily done “Goat of Mendes/Baphomet” pentagram?…. After looking at these new images one thing’s for certain….I still don’t believe their official story about what happened here. What we know is that the “evidence” is only as good as the source. Most know the FBI has no integrity whatsoever. If it quacks like a duck and looks like a duck it must be a missile. How many times has it been proven the government lied to the people, but this time they are telling the truth so we should believe them. If there weren’t such harmful consequences this would almost be funny. The boy who cried wolf wants you to know this time it’s REAL. Physics defied in too many ways to list here. Experts who debunked the official story with facts. Worlds biggest crime scene had evidence whisked away to china. The list is just too long to put here, but the facts are still out there. I am a bit surprised – no, I am a ton surprised – that no one has recommending making the passenger jets of the next generation out of cancelled passports. The effing things are indestructible. Does anyone see any “national security” issue with the release of these pictures? I don’t. So WHY are these pictures being released nearly 16 years AFTER the event and not released 16 days after the event? or in the 911 commission report? Where are the good videos of the plane hitting the building? They still can’t find those can they? Just like the security camera videos that went missing from the Oklahoma City bombing. We do not have a problem with foreign enemies. Our *only* problem is from embedded *domestic* enemies! To preempt an internal investigation which would reveal the pentagon was NOT struck by an airliner. There are photos and video proving that which have never been released. I won’t accept anything from any branch of government at face value. 14 years ago when I made comments like the ones here, I got slimed with ridicule and epithets. Now all agree with me. Perhaps we are making progress. No plane hit that building. It was a Cruise Missile. So where are the aircraft engines? No photo? They are the heaviest, most dense part of a plane. Their momentum would have carried them further than the air frame that would have crumpled upon impact. To suppose that a single hole in a wall is evidence of an airliner hitting the pentagon is ridiculous. As for the photos of debris, they could have been taken anywhere. So why do they release these photos (fake or otherwise) now? Is this yet another CIA concocted diversion? And where’s de wings collision marks? No wing marks on the hole in the Pentagon and no tail feathers in the wreckage – This is the second time I’ve posted this – Liars work in the Pentagon – Period.